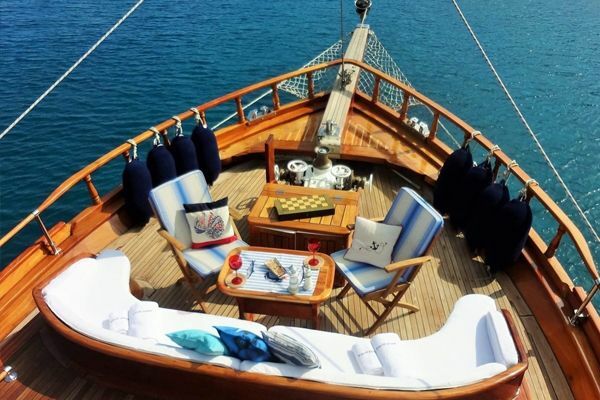 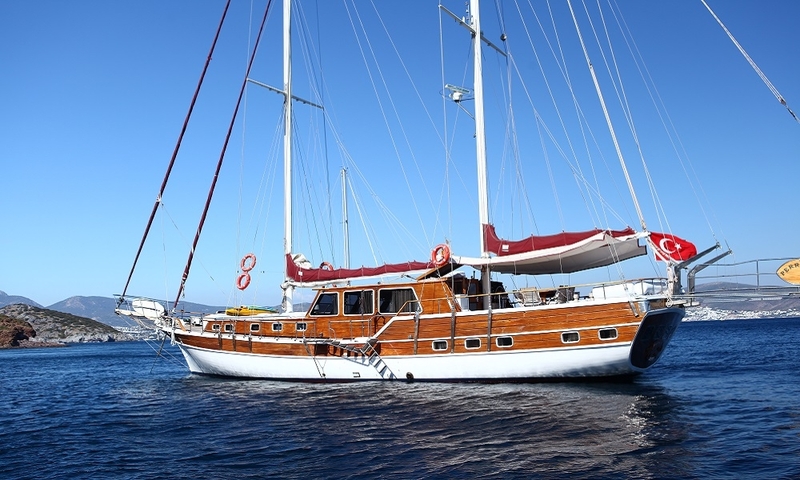 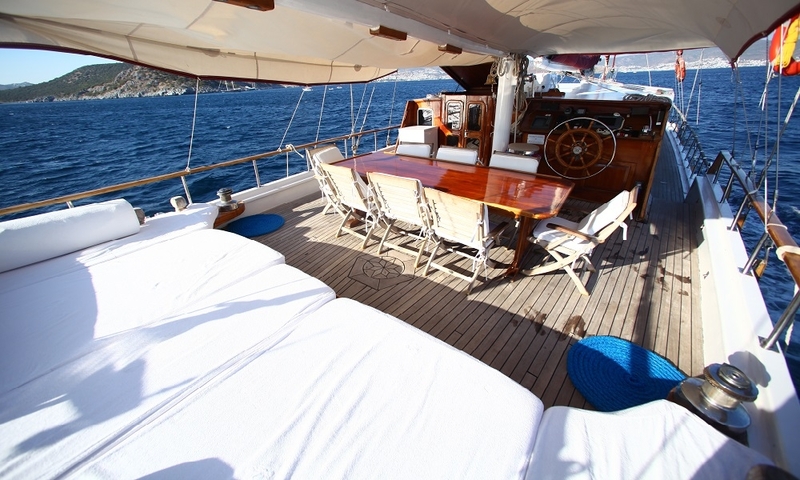 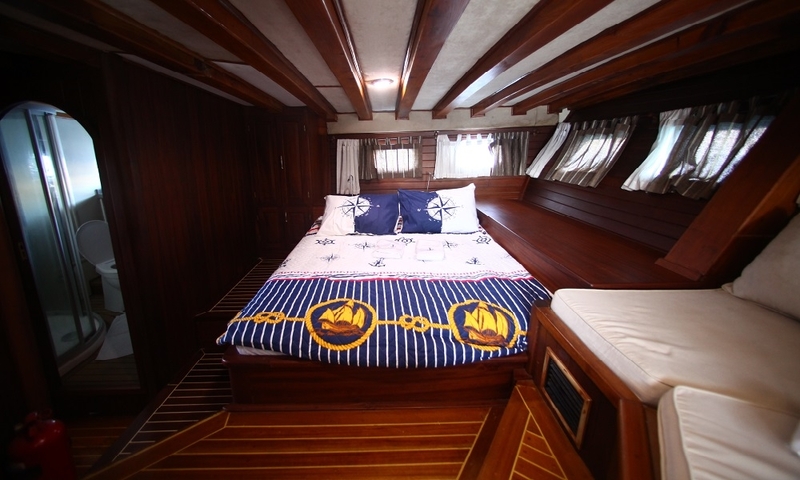 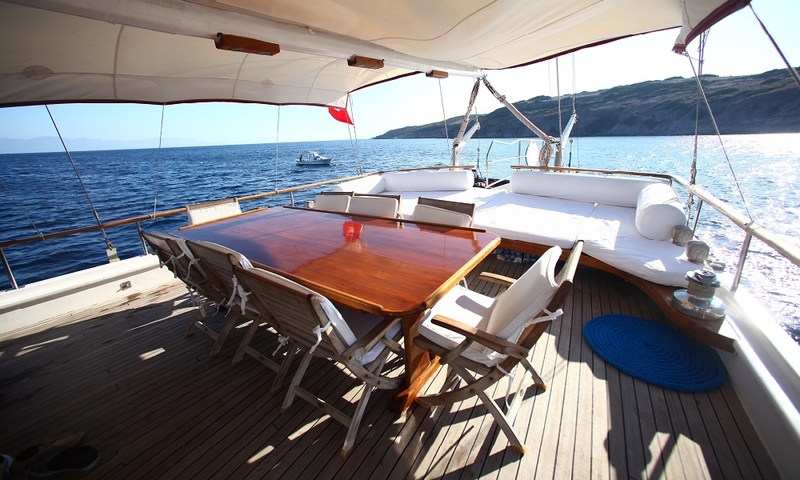 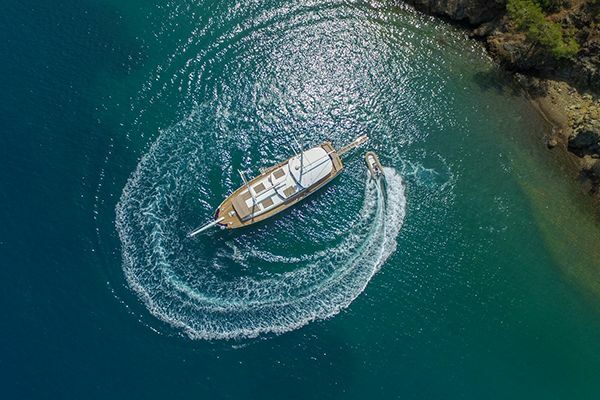 The wooden Turkish Gulet Perrinita, formerly named CEO, is a traditional build in the classic ketch style of Bodrum, refitted to give a bright light-filled comfort to the five cabins and saloon, and easy relaxation spaces on aft and foredecks. 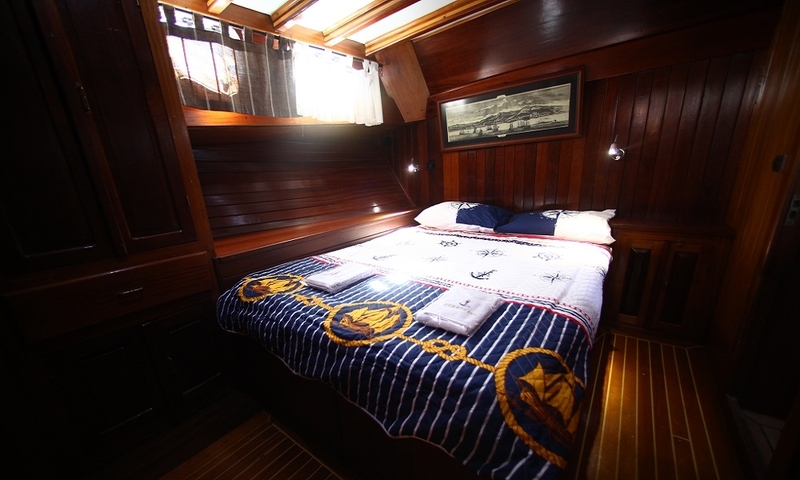 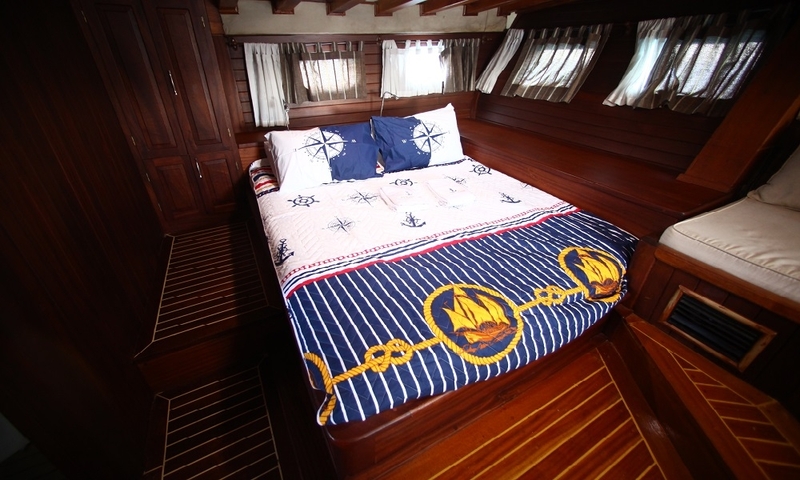 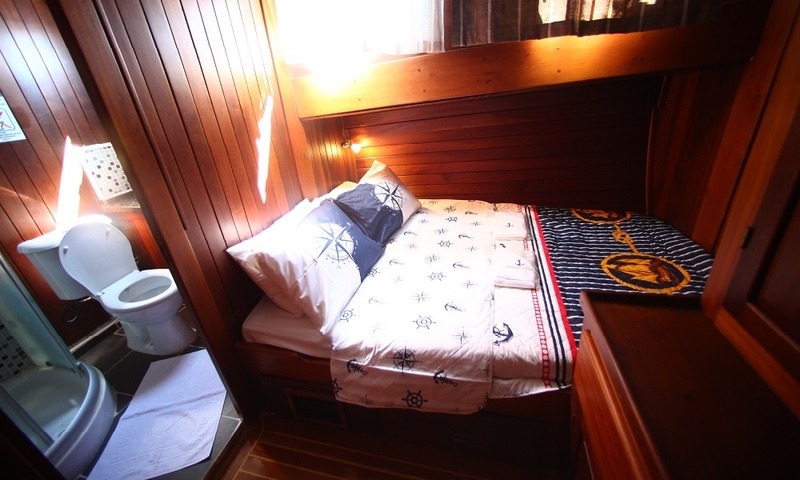 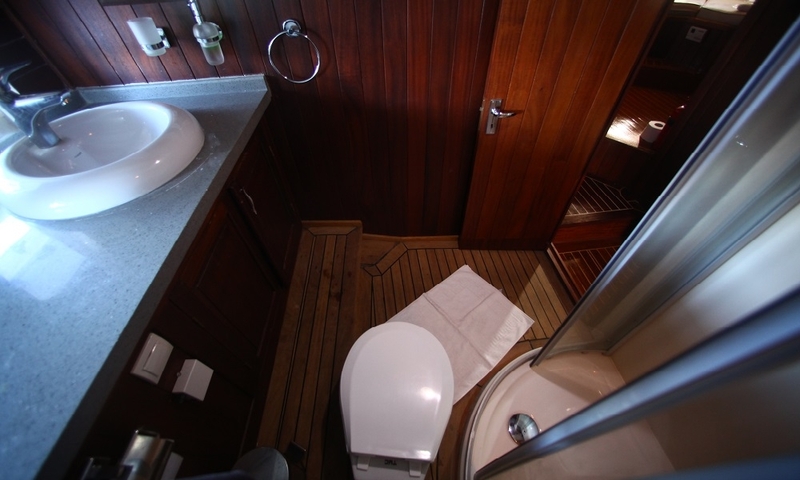 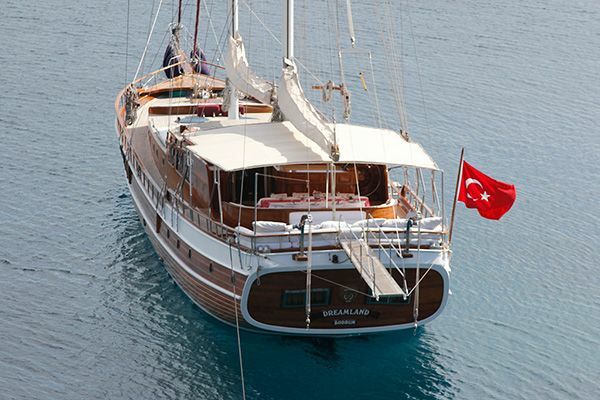 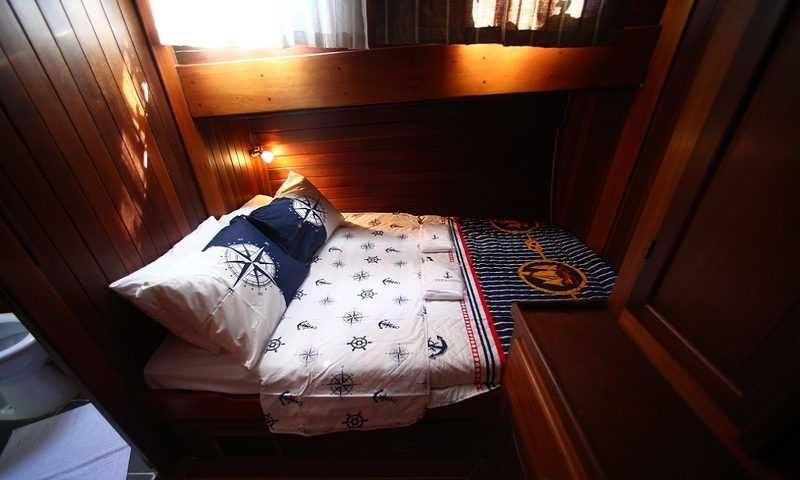 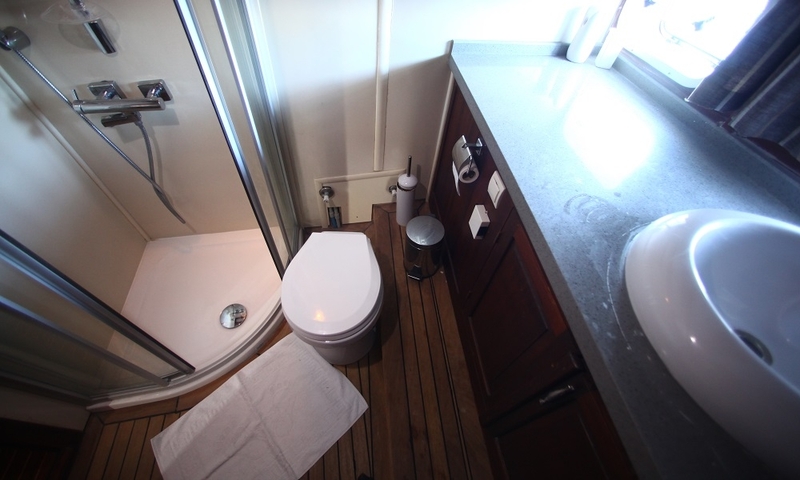 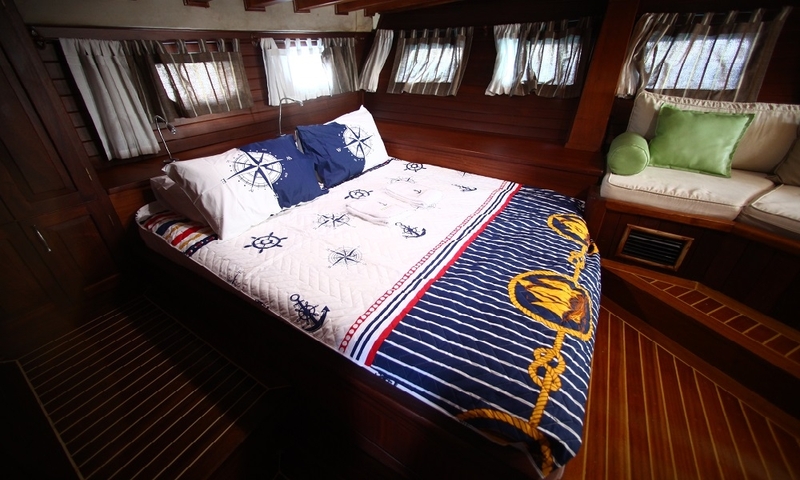 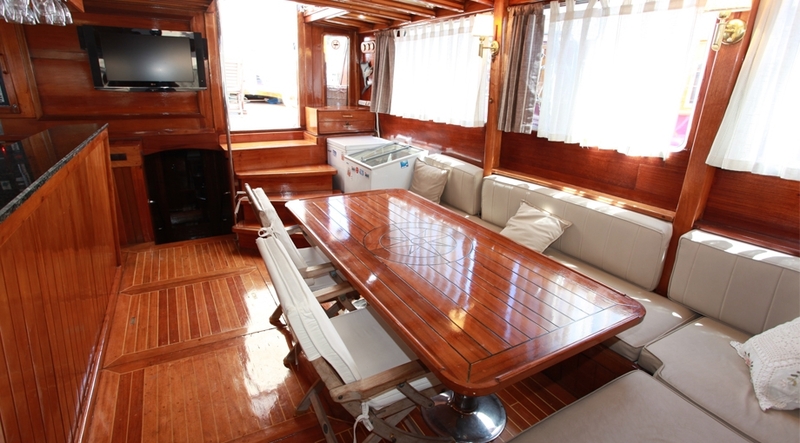 Kept in excellent condition, the air-conditioned gulet has two larger double cabins and three standard double cabins with the comforts of ensuite bathrooms for each cabin complete with shower cabin, WC, and washbasin to ensure comfort for all members of the group. 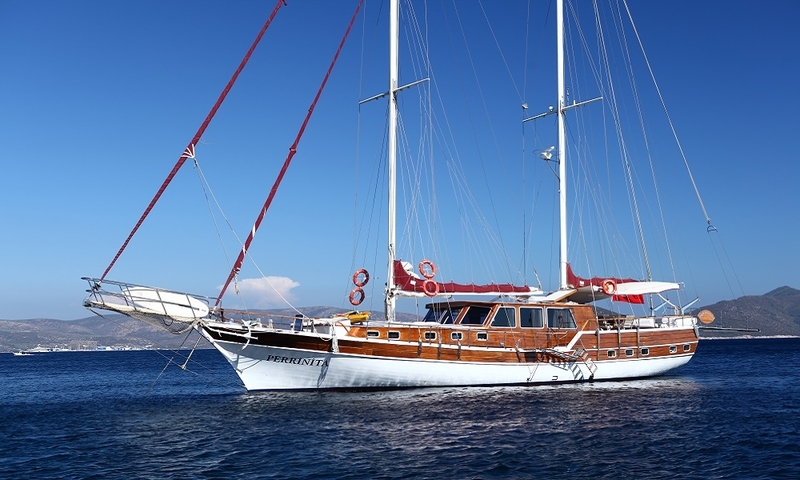 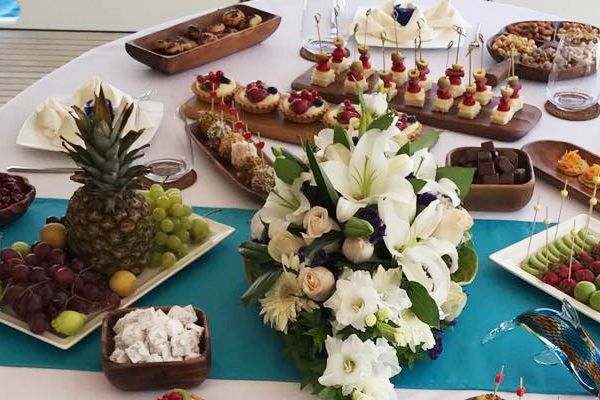 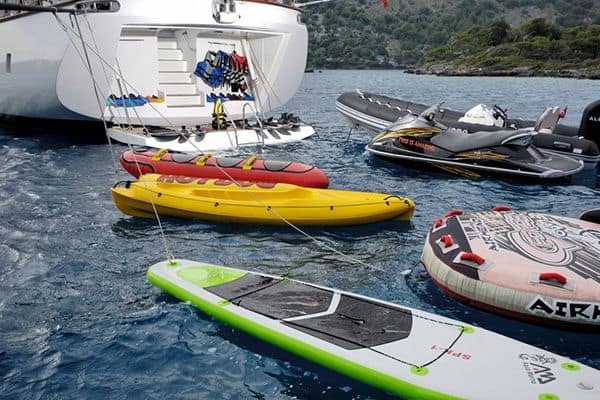 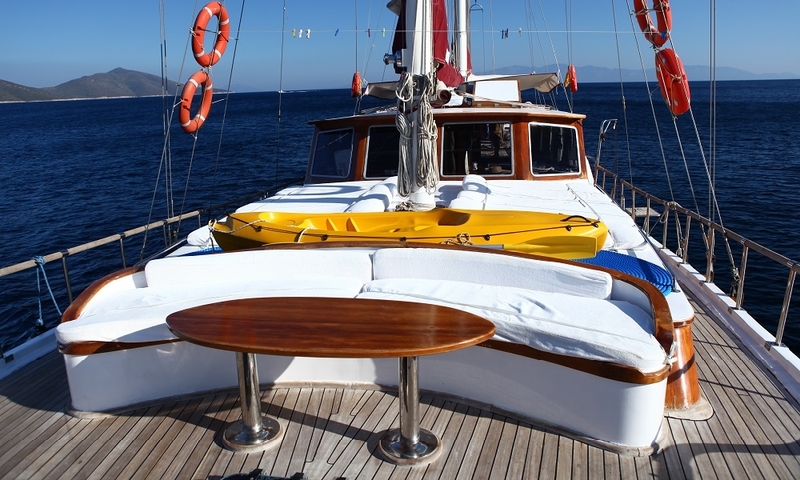 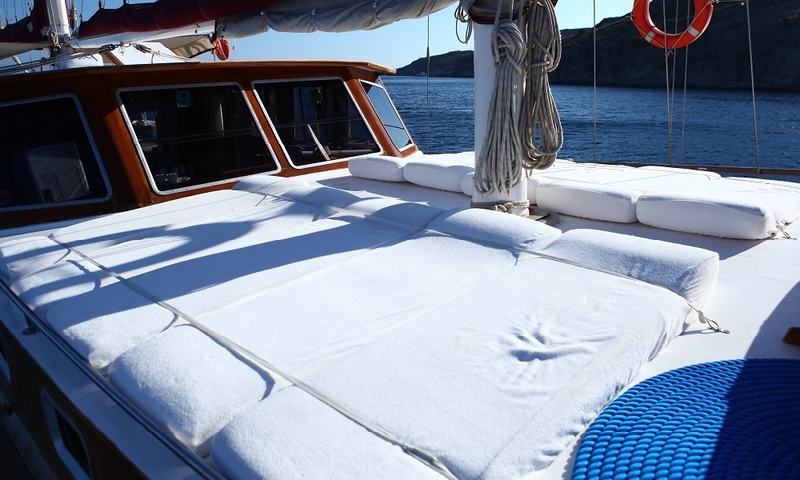 Together with an attentive crew of three, a cruising holiday on Perrinita gives a great opportunity to enjoy the sunshine and crystal clear waters around the East Mediterranean coasts of Turkey and the Greek Dodecanese Islands from Bodrum.